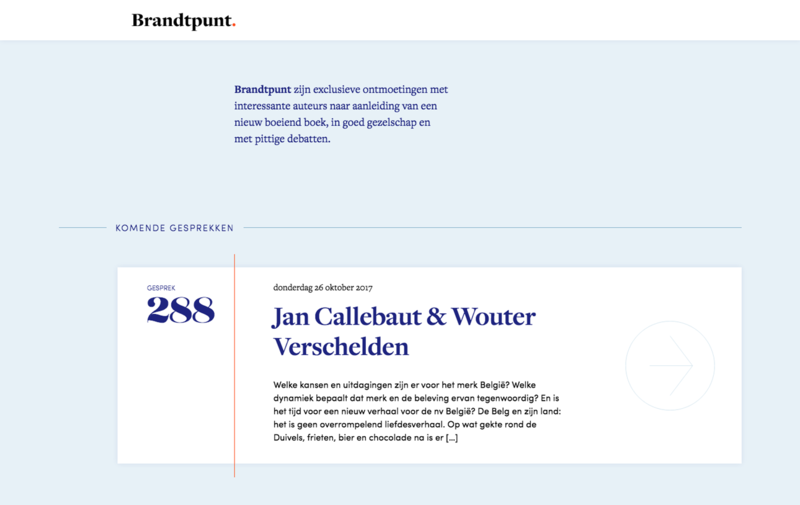 Brandtpunt is a series of lectures by authors that has been going on for years. For their new identity and website we opted to go for a type-driven graphic style, countering the abscence of interesting imagery. An unexpected color palette adds a dash of delight.